** **He couldn’t kill her will to survive . . .
By the time Anne Bridges saw the gun in Jimmy Williams’s hand, it was already too late. The bad things she had heard about him—how he had drugged a woman and held her hostage—Anne now realized were true. Only now it was her turn. What began as a well-intentioned attempt to reconnect with an old friend became, for Anne, a struggle to survive. 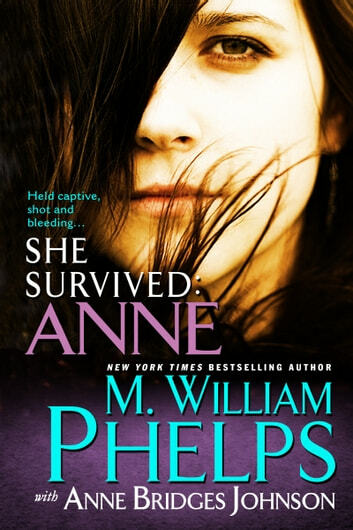 In her own words Anne shares a chilling minute-by-minute account of her ordeal—the shotgun blast that nearly ended her life, her desperate struggle to escape, and the courage that sustained her on her long road to recovery—as part of a compelling narrative by award-winning, New York Times bestselling author M. William Phelps. She is telling her story in hopes that other women will not have to go through what she endured at the hands of a violent attacker. This book is hard to put down. very well written. he i one if my favorate authers. his book are hard to put down once you start reading them. Excellent read. William Phelpd cnbring the reader ighr n to he sory.